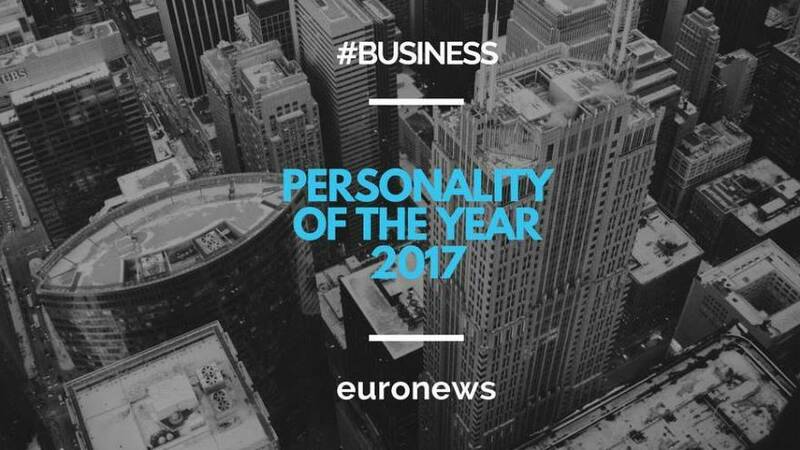 Euronews asked readers in December for their vote on who should be the 2017 Personalities of the Year—in fields including space, innovation, culture, business, EU and sport. Find out more about Albert Colomer, who won Business Personality of the Year, and the other nominees below. Helping entrepreneurs protecting their intellectual property rights. Small European businesses can be very vulnerable in their early years as their investments in research are easily compromised. Björk's work is to protect companies like this and allow them to flourish and create jobs. Volunteer for an association called DYSO that helps businesses in difficulty. 200,000 companies each year go bankrupt in Europe, roughly 1.7 million people lose their jobs. Oosterlinkck meets with troubled owners trying to save their businesses, and if they can't see a way to turn things around, looks at solutions to try to salvage as much as possible for owners and employees. Pollution caused by plastic is a major environmental scourge on the planet. If nothing changes, there could be more plastic waste than fish in the seas by 2050, it's been claimed. The worst offenders are plastic bags, which we all use: 200 bags per-year per-European inhabitant. Only 7 percent are recycled. Mustonen's business has come up with an answer. Reempresa is a digital system that streamlines the process of transferring ownership of businesses. Every year in Europe more than 150,000 companies and 600,000 jobs are lost because of issues with the business transfer process. Reempresa offers guidance, support, and systems to make this vital process more likely to succeed. Elektrocouture is one of the fashion tech hot spots. In the fashion business, everybody wants to go into fashion tech, but not everyone knows how. The secret is to bring fashion and technology truly together. Lang's job is to be a matchmaker between the two. We asked our European business expert Serge Rombi, presenter of Business Planet, to pick the nominees who have had a big impact in their field during 2017. Poll: Who should be Euronews' Space Personality of the Year?